There’s a Guerlain perfume bottle on the dressing table of Olga (Florinda Bolkan), Martin Von Essenbeck’s mistress. It’s the flacon bouchon coeur with the classic heart-shaped stopper. Designed by Raymond Guerlain and Baccarat, it was launched in 1912 and originally contained extraits of Mitsouko, Fol Arome and L’Heure Bleue. 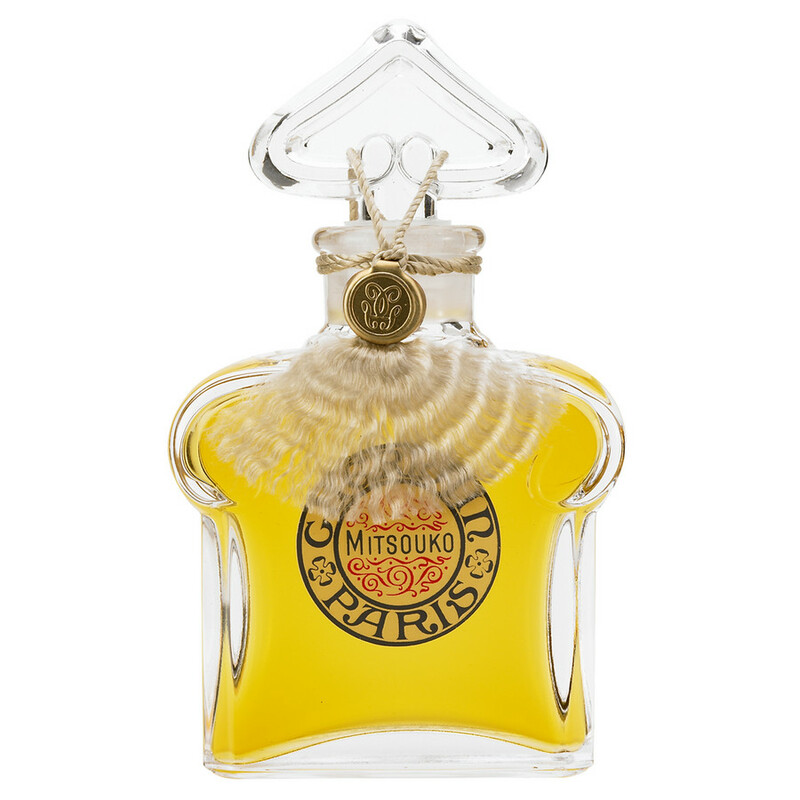 The film is set in Germany during the Third Reich (1933-1945), so a bottle of the three perfumes above would be historically accurate: Mitsouko was launched in 1919, Fol Arome and L’Heure Bleue in 1912. I can see Olga wearing Mitsouko, though, because it perfectly fits her vampy attitude and her dreams (fulfilled at last) to replace Martin’s mother in his life. The Guerlain perfume on her dressing table symbolizes the rich and powerful life she longs to live, refinement and luxury; it’s not a coincidence that Sophie Von Essenbeck exclusively uses Guerlain perfumes.